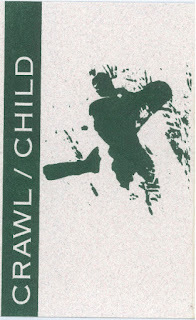 Crawl/Child was a music group in the early 90s based in the Lindsay, Ontario area. 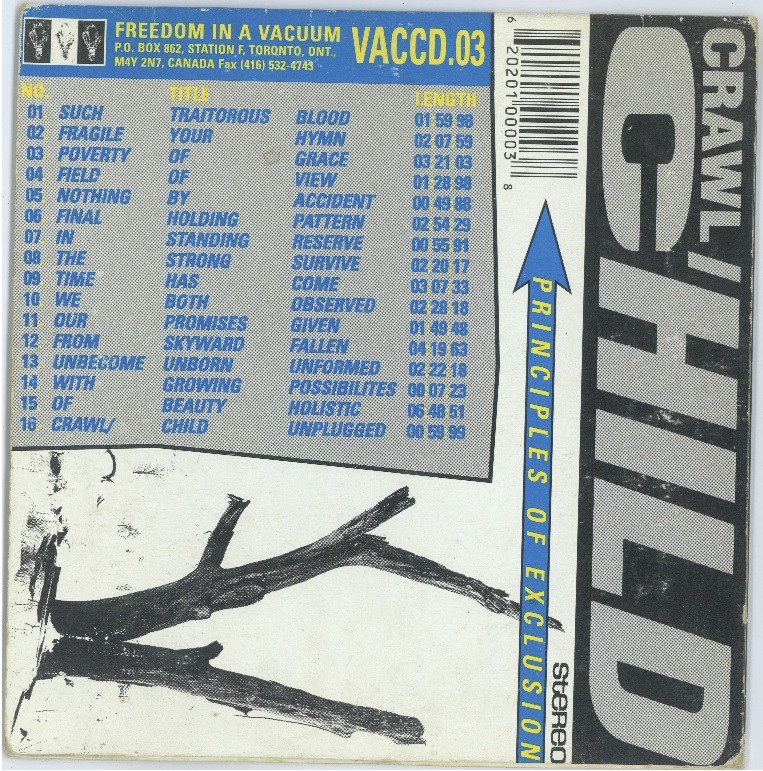 Crawl/Child is difficult to describe but 'industrial' and 'metal' come to mind. They are probably one of the heaviest bands I've ever heard. The two main members of Crawl/Child were Howard Gibbs (electronics, sampling, etc.) and Bradley Park (vocals). As far as I know, Gibbs is part owner of Have You Seen, a DVD rental store in Peterborough Ontario and Park is teaching philosophy in Maryland. Since their music isn't on Youtube and there doesn't seem to be any download links available, I thought I'd upload their two albums. In each zip file, there are also scans of the album artwork and words. This was only ever released on cassette. I recorded my copy as 320kbs mp3s. I ripped the CD and included are scans of the CD cover and the enclosed lyric sheet. Brad Park was also in a band similar to Crawl/Child around the same time called Scald with Paul Pfeiffer (who was musically known as Wadge). I have the old Scald cassette - if there's interest, I'll record and post it too. Just came to my attention that Crawl/Child has a channel/page on last.fm. Requires login so I don't know what's there. Hi! I found your blog while doing my occasional Crawl/Child search -- I've been looking for that debut cassette for years! Thanks for the upload! I'd love to check out Scald too when you get a chance. Hey B Random! Glad to help. I'll upload Scald soon. 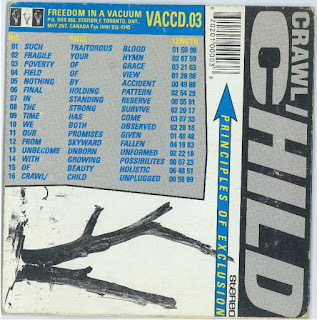 And, in digging around, I found earlier Crawl/Child recordings - mostly early versions of what ended up on the self-titled album but also one 'unreleased' track. Nothing to write home about, but I will upload these soon as well! THANKS for posting the Scald cassette. Hey, Howard Gibbs was my next door neighbour growing up. Haven't seen him in years buy still remember the day I first heard principles of exclusion. Awesome!